The Tabernacle, a meeting house and lecture room, was built by Beaufort Baptist Church in the 1840s. In 1863, Tabernacle Baptist Church was organized by Solomon Peck of Boston with most of the 500 African American members of the congregation coming from Beaufort Baptist Church. The new congregation acquired this building for their worship services. 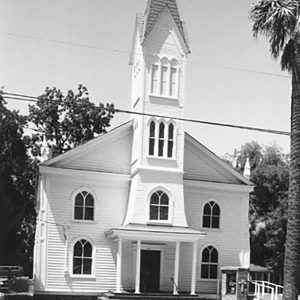 The church was rebuilt after it was damaged by the hurricane of 1893. A bust of Civil War Hero Robert Smalls is on the church grounds. Tabernacle Baptist Church is included in the Beaufort Historic District.